Karim Botros: Senior Vice President, Chief Strategy and Innovation Officer, MetroHealthBotros oversees business and corporate development, innovation and integration at MetroHealth, as well as planning and market research. He joined the organization as Chief Strategy Officer in August 2013. He was previously a member of the Cleveland Clinic Foundation’s Emerging Businesses group and oversaw corporate development projects. Between 1999 and 2008, Botros worked in private equity, acquiring companies within the health care, IT and business service industries at The Riverside Company and The Jordan Company. Brian Hall: Owner and CEO, JIT Services, LLCIn addition to running his own operations management firm, Hall is also Senior Vice President at The Greater Cleveland Partnership, where he serves as Executive Director for the Commission on Economic Inclusion. In 2016, Hall formed 2NorthStar Capital, LLC to acquire (via controlling investments) businesses in logistics, packaging, manufacturing, staffing and other services that sell into supplier diversity friendly sectors. Michael Regelski: Senior Vice President & Chief Technology Officer, Electrical Sector, EatonAt Eaton, Regelski works with engineering and business leaders to develop and implement the company’s electrical sector technology strategy. He is also responsible for providing overall direction and guidance for all engineering, program management and technology enhancement initiatives within the sector. Regelski is also an experienced entrepreneur, serving as one of the founding members and Vice President of Engineering for Lenel Systems–which was acquired by United Technologies in 2005. 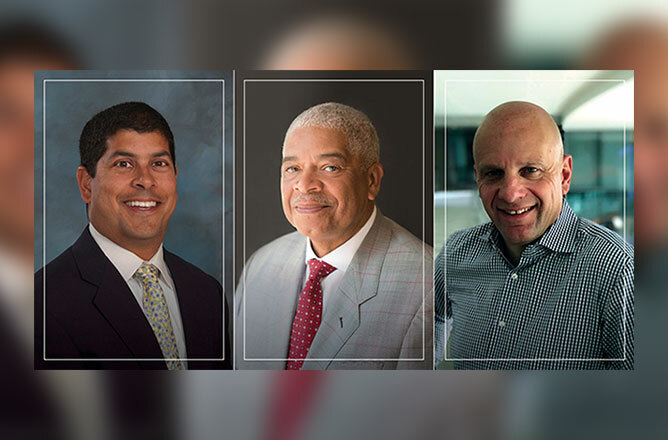 To learn more about these three new board members, and view the full JumpStart board of directors, visit: www.jumpstartinc.org/about/who-we-are/.